Wanted to try this for ages but never got around to it, finally picked up a bottle last week and have been using it after every shave since it arrived. I paid just over £13 for the bottle so not too expensive for 180ml of product, the most I've seen it for is £16 so still not bad considering the volume provided is nearly double the amount for your average balm. 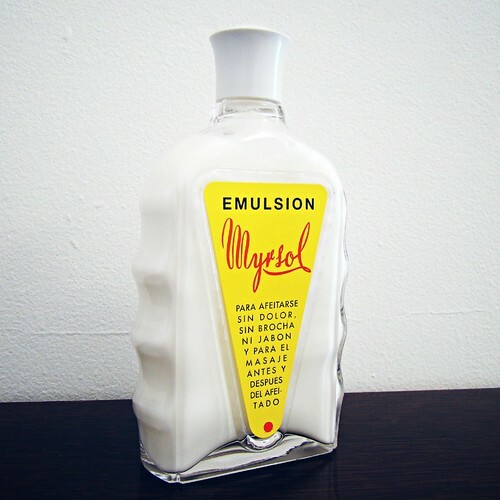 Presentation is classic Myrsol (in fact I think I'm right in saying Emulsion was the product the late Mr. Miquel Ricou Sole founded his business on.) 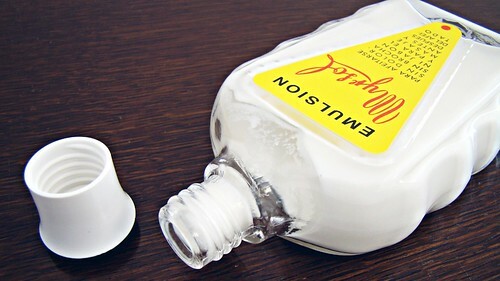 I like the thick glass bottle with finger grips and its not just cosmetic as this design prevents it slipping out of your hand and if used correctly also prevents the product dripping over the paper label and spoiling it. 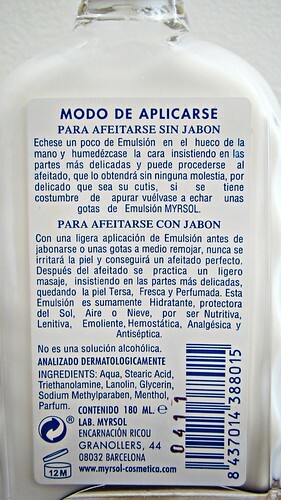 Aqua, stearic acid, triethanolamine, lanolin, glycerin, sodium, methylparaben, menthol and parfum. Simple formula with a couple of nasties, triethanolamine and methylparaben... Both completely unnecessary, why they haven't reformulated to remove them is beyond me. Upon my first use of Emulsion I was immediately reminded of another product I've used very recently - Mitchell's Wool Fat body lotion. The Myrsol is slightly thicker but otherwise they feel and perform exactly the same... I've compared ingredients and they are pretty much the same except the Myrsol has Glycerine and the Fat has Paraffinum liquidum. Conclusion: Would I recommend it? If you suffer with dry skin post-shave then yes. Would I buy it again myself? No. For my face there are superior products out there. I've got a bottle of it, but in plastic with a "push-down" lid. It's a pity it has the additives, but then a lot of others (e.g. Floid balm) do as well. Nowadays, I tend to steer clear of those with parabens and some dyes. The Myrsol is quite good stuff on the face, but the downside with it, at least with the plastic bottle, is that it tends to flow rather slowly, even after shaking. A good squeeze of the bottle then produces an outpouring, usually on my bedroom carpet. I find that, if I apply it after witch hazel or aftershave, it leaves me with a rather shiny skin, which is not a good look. Like a lot of shaving "software", it seems to last for ever, but I'm almost at the end of it, and I can think of others that I'd rather buy. 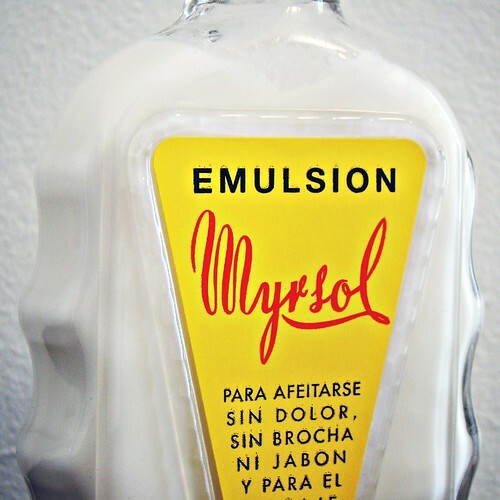 I differ, here, as I happily use the Myrsol as a pre-shave (like Trumper's Skin Food). I would never dream of using either as a post-shave. (After 40 years shaving, I do think pre-shaves make a difference). That's an interesting slant on it. The nearest I've ever got to anything special pre-shave is using Ach Brito Glyce and other glycerine/olive oil soaps beforehand. I recall once trying a shaving oil which was meant to combine pre-shave and soap performance, but it wasn't for me. I do find that Myrsol and most other balms also work well as a hand conditioner after a shaving session. I occasionally find that when using Myrsol Emultion as a pre-shave, it feels as if the razor cap is dragging over the skin - like there is a film of resistance, which the razor drags on. Like @Rohleder I was very surprised that Myrsol have not reformulated to remove the triethanolamine and methylparaben - I would rather the product had a much shorter shelf life, with cleaner ingredients. If I recall the ol' codger was past 90 when he died so I imagine reformulation was not top priority. Triethanolamine is a particularly common pH adjuster, to balance the use of stearic acid. Does a decent enough job and you almost always need next to none (think <0.1%). Stearic acid is a particularly weak acid so to buffer to slightly acidic (~pH 6 for skin products) you'd need not a lot whatsoever. Similar story for methylparaben (0.4% maximum, most companies use between 1/8 and 1/4 of this figure) but I'll agree that methylparaben can be more easily swapped out. There's definitely alternatives out there, but it's another one which is good at what it does! It'd also read 'sodium methylparaben', as the salt of methylparaben rather than sodium, methylparaben. It'd be a nightmare to manufacture if you had to add sodium to an aqueous mixture! I.e. there's significantly mitigated risk given the quantities used. 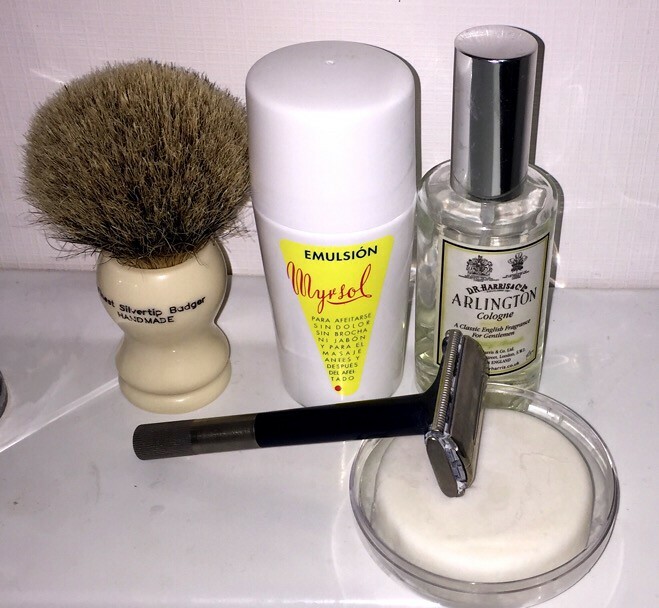 Love my Myrsol Emulsion, both pre and post shave - it is a staple. I have tried many other products, but keep coming back to it. When I travel, I use the ingenious roll-on version. Those clever Spaniards. James, can you use that body lotion as a post shave balm/moisturiser? Thanks James, good advice, much appreciated . Very interesting - thanks for the tip. I’ll definitely give it a go. I said a while ago that I used Mitchell's Hand & Body Lotion as a post-shave balm, although I mix it with aloe+man, picked up in Lanzarote. I don't use much - there's no need to - not at all greasy in the quantities I use.